Photo Essay: Documenting conversations with a landscape on a poignant weekend. 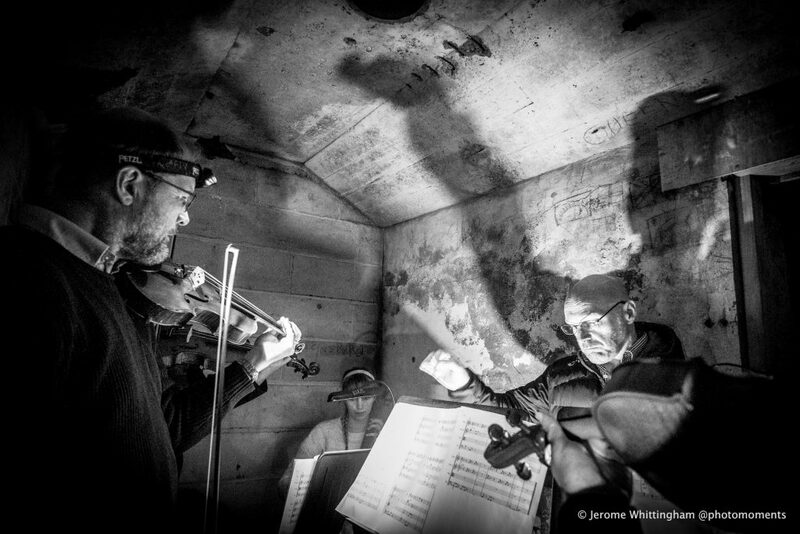 Photographer Jerome Whittingham documents a unique artistic experience during Armistice weekend. 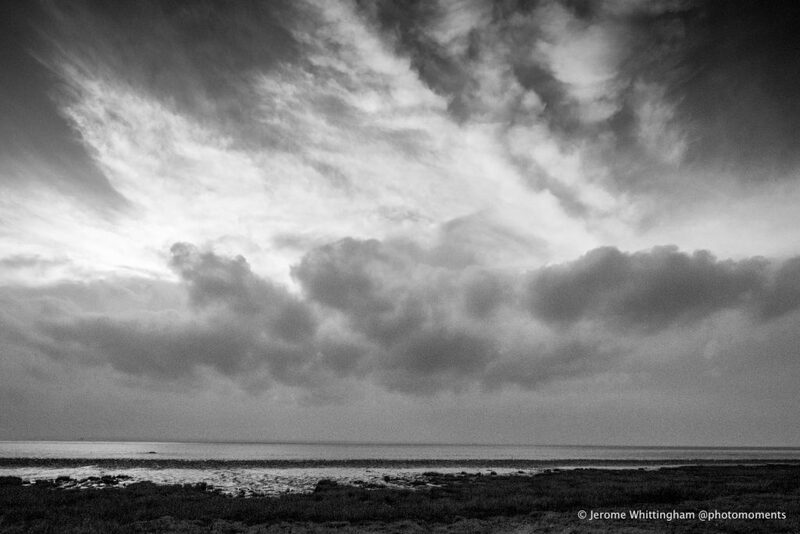 Spurn is a National Nature Reserve, remarkable for its wildlife and its heritage. Managed by Yorkshire Wildlife Trust, it is an excellent place to observe migrating birds. 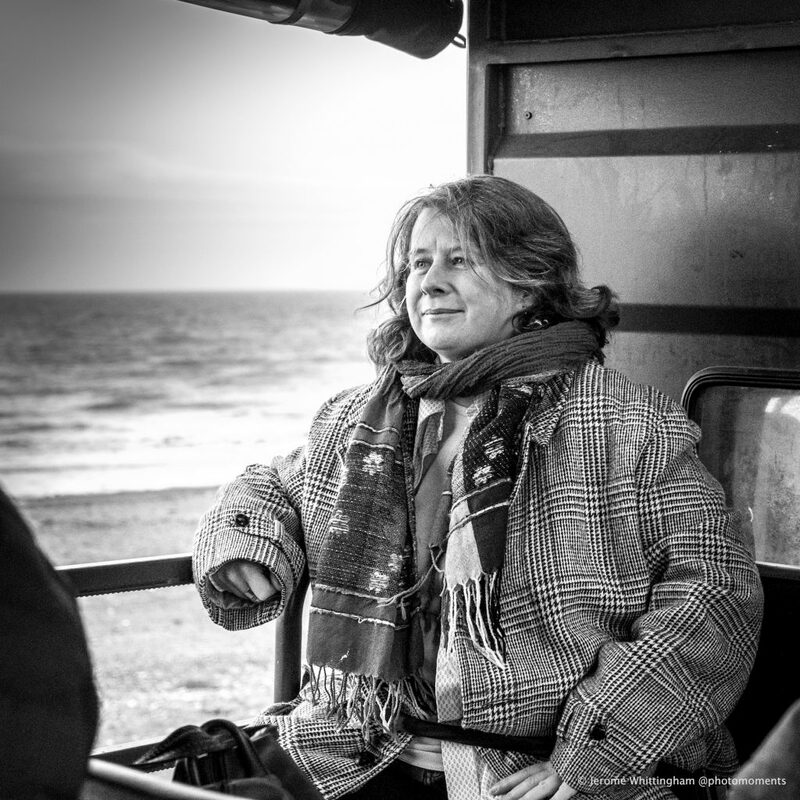 Lou, and fellow artist Marcel Craven, were appointed artists in residence at Spurn Point national nature reserve by Yorkshire Wildlife Trust. Their brief, entitled ‘Conversations with Landscapes’, is to create artwork, in any format, that responds to Spurn’s changing landscape and its heritage. Artist Lou Hazelwood. Sadly, due to illness, fellow artist in residence Marcel Craven was unable to join us. I’ll be catching up with Marcel another time. 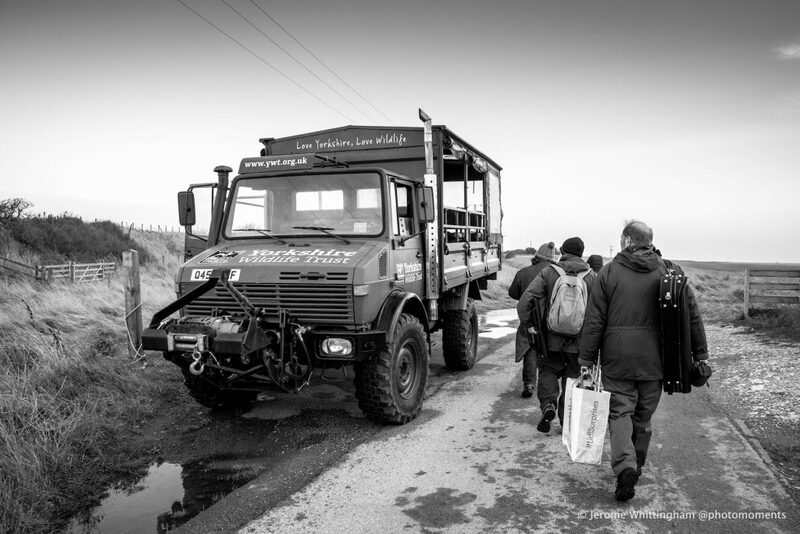 Visitors to Spurn are transported along the 3-mile sandy spit by Unimog, an ex-military vehicle which also acts as a hide and observation point. It’s a functional rather than comfortable way to travel. The Unimog travels at its own pace, slowly but reassuringly. There is plenty of time to take in the linear landscape. Lou leads the team to our unique location at the end of Spurn point. String quartet members are: Adhel Cadle, David Constantine, Rebecca Draper & Rebecca Stone, with musical arranger/conductor Russell Plows. A briefing from Andy Mason, Heritage Officer at Spurn for Yorkshire Wildlife Trust, ensures our safety before we venture underground. 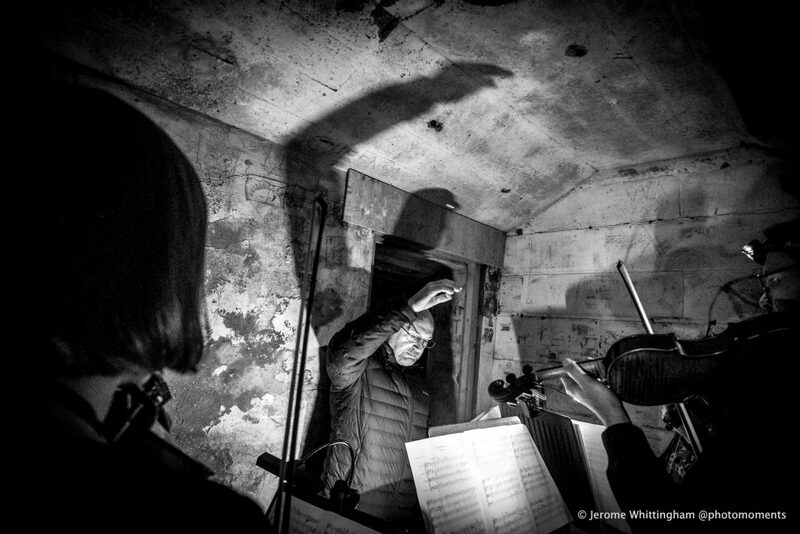 The performance space, tunnels under the former Port War Signal Station, a fortified military base, part of the Humber defence scheme implemented in 1915. 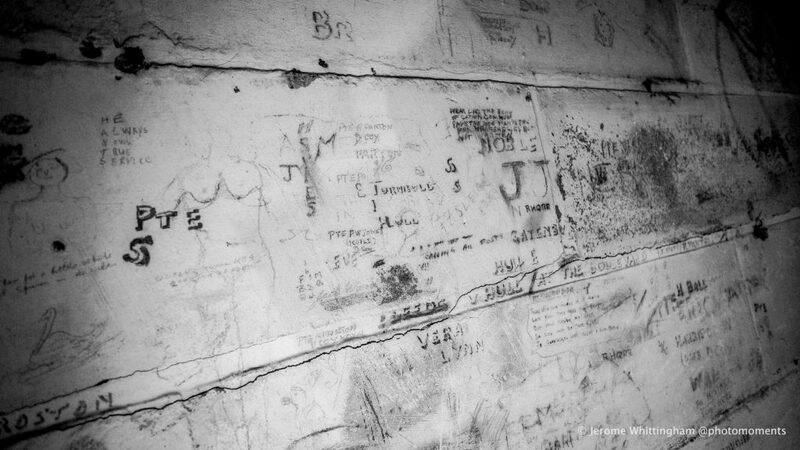 The history of this place is written on its walls. 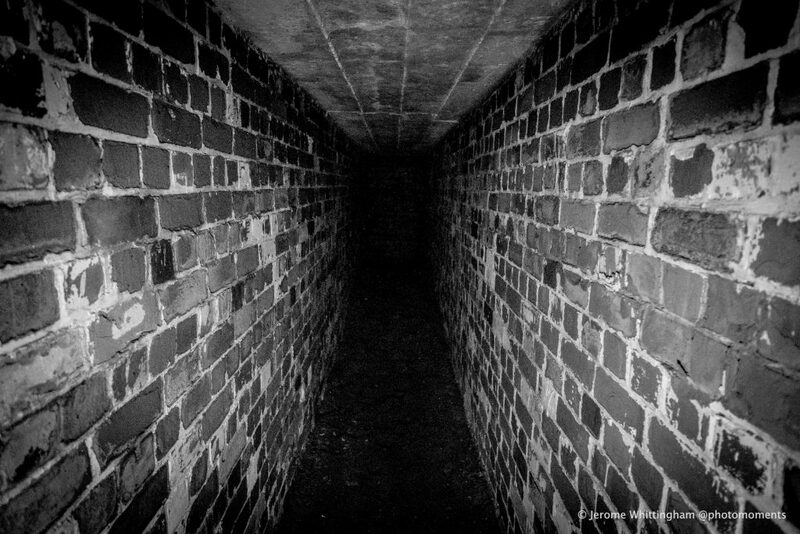 There was a real sense that we were sharing in history, not just adding to it, during our afternoon underground. Easy to be lost in the moment, lost in time. Lou adds to her artistic record, ‘film is not dead’ she says, as the musicians begin to atune to the performance space. 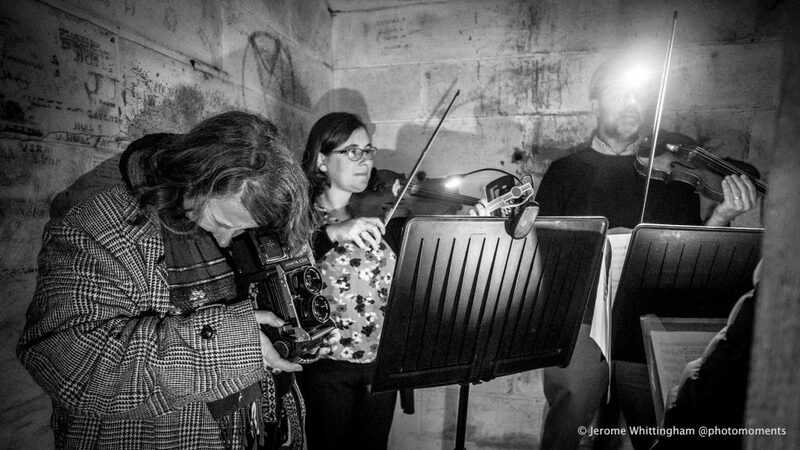 Musicians Adhel Cadle and David Constantine. 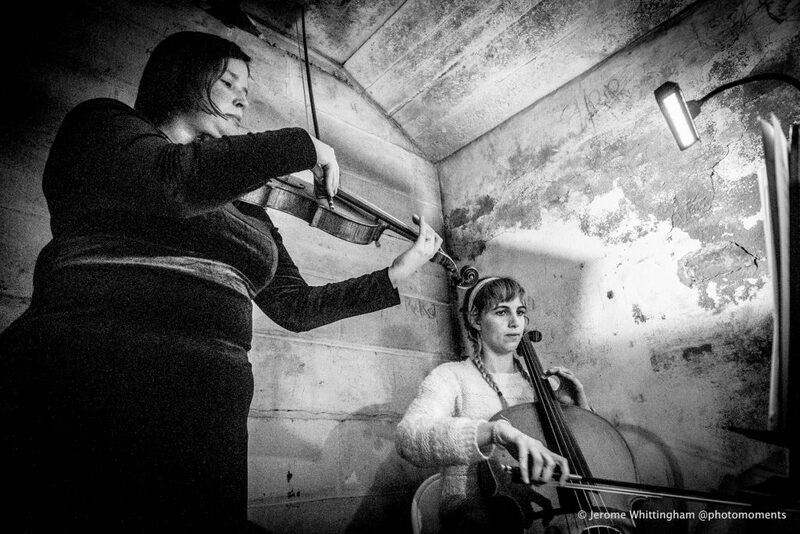 Musicians Rebecca Draper and Rebecca Stone. Musical arranger and conductor Russell Plows. 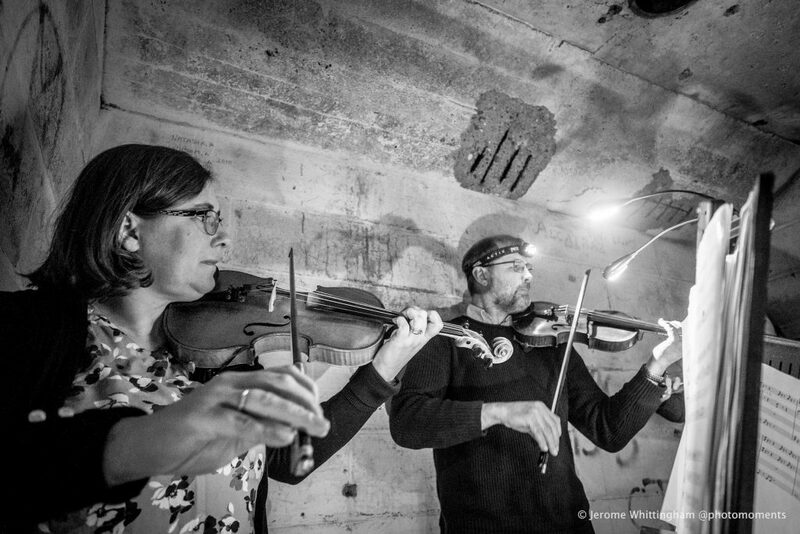 Compositions inspired by World War One ‘sound mirrors’, and the composition of concrete, were performed by the string quartet, and recorded for future release. 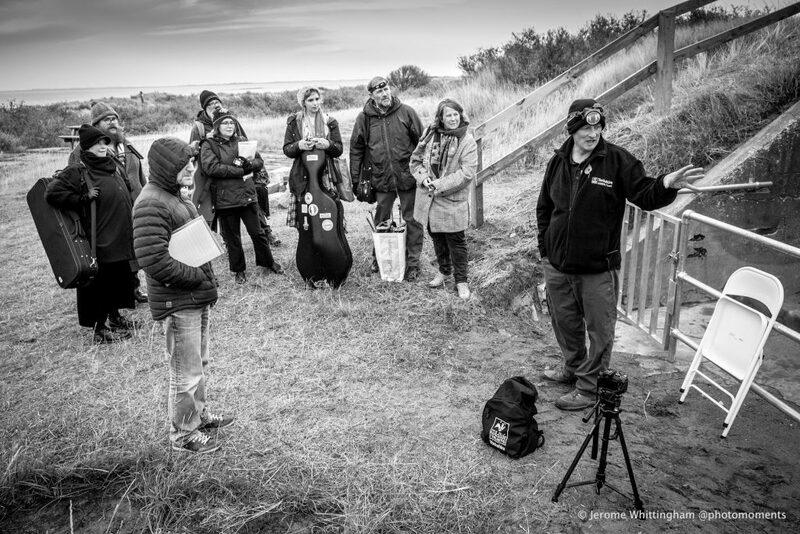 That we were underground at such a significant location, responding to Spurn’s heritage during such a poignant weekend, created an incredible sense of remembrance, instilled with an unspoken reverence. It’s an event I’m privileged to have participated in, a photographic assignment like none other I’ve undertaken. 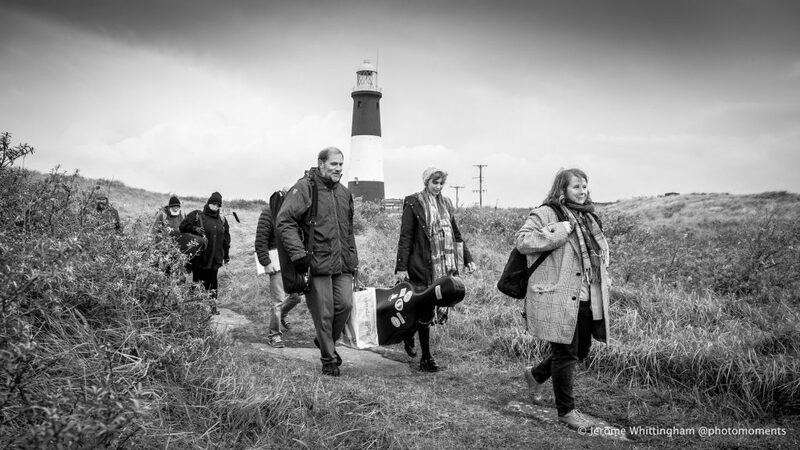 Spurn Point – a residency. Artists’ blog. 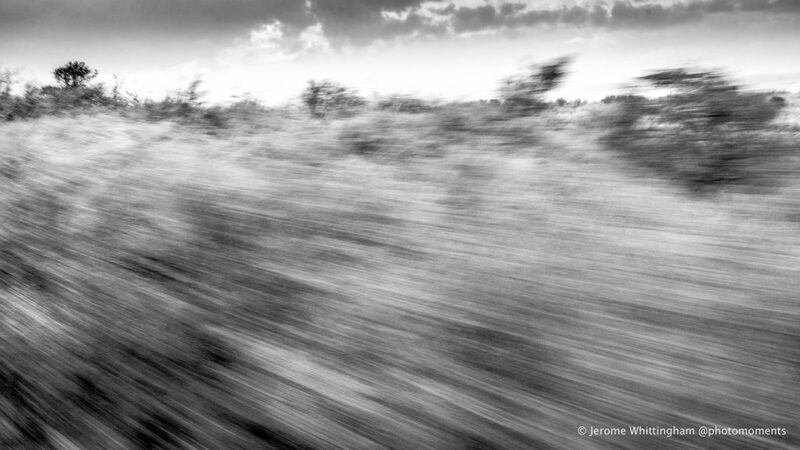 1 Comment on "Photo Essay: Documenting conversations with a landscape on a poignant weekend." This is so cool. I love it. It has been great to be involved and to have helped make it happen too.